Here at Oil 4 Wales we pride ourselves on community, honesty, and, of course, customer service. As a close-knit family business, we often get grilled on what it’s like working so closely with each other. Do we fight a lot? Why do we choose to work together? 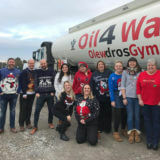 So we decided it was time for you to have an insight into the inner workings of the Oil 4 Wales management team, just in time for International Family Day! 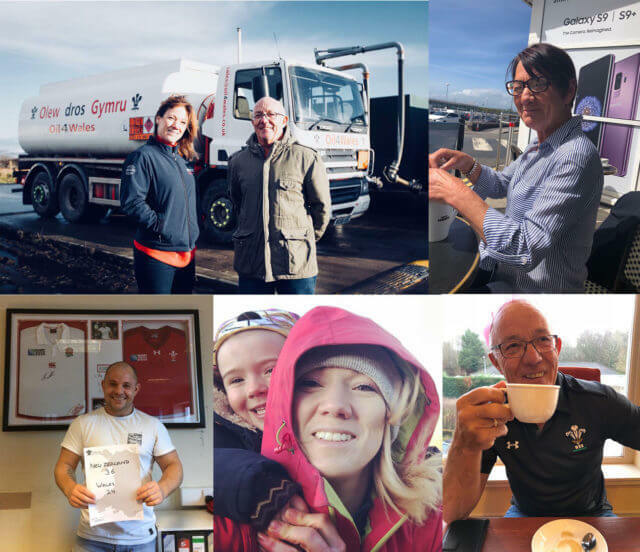 From left to right, top to bottom: Sally Owens – Director, Colin Owens – Managing Director, Shirley Owens – Debt Control, Paul Owens – Director, Sally and her little one on an adventure in the Welsh countryside, and Colin enjoying a cuppa. 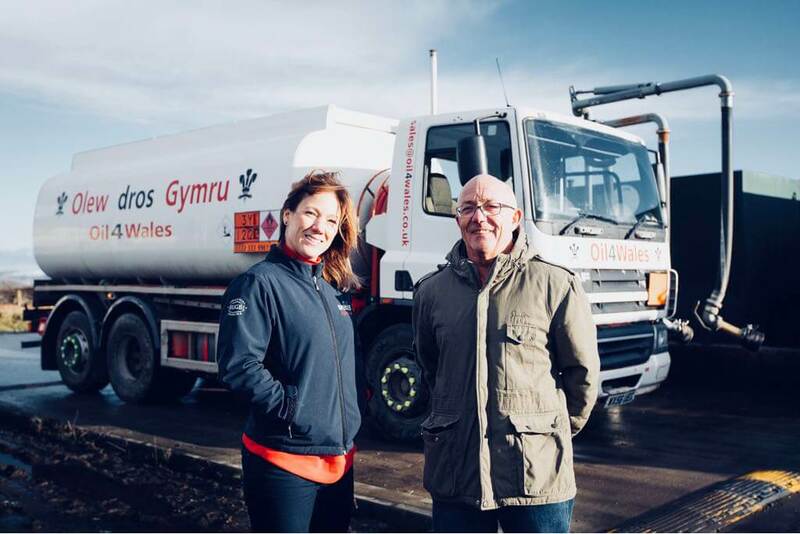 How did the family business of Oil 4 Wales begin? Colin: After some other big energy providers were prosecuted for overcharging in Wales, I realised it was time to establish an honest community company that was truly customer-focused! Sally: Dad was on a non compete clause and that was coming to an end. I hated my job as a solicitor and, having never worked in the previous family business, I decided that if we started again this time I would join. Did any of you consider not working in the business? What job do you think you would you have had instead? Colin: Not for me! Oil has always been my life from when I was 21. My wife, however, probably wanted to retire many years ago! Shirley: There wasn’t much choice to begin with: when the company started it was all hands to the pumps on a very tight budget. Looking back, it would have been nice to have worked with children, but we had to pull together for the success of the business. What’s the biggest challenge working with family? Sally: Working with my Dad! We’re both very similar: fiery and very often want things done our own way. We can both snap at each other as it’s hard to take the emotion out of things with family. But it’s a good challenge that I wouldn’t swap for the world! Shirley: Having different opinions on the way things should be done. Colin and I have many different views on certain subjects and sometimes the discussions can get quite heated; most often we agree to disagree! Colin: Well… I was going to say the commitment that one has to devote to the business can put a stress on home life! It’s hard to find balance under constant pressure. Who is the most organised? Shirley: I think Sally is the most organised, myself a runner up; we both make sure Colin is on top of things… which can be a nightmare sometimes. Sally: Mum is definitely being modest as it is her! She’s always the one reminding us of birthdays and things we need to do. Kind of like a sheepdog, and we are the sheep running around causing chaos! Colin: Definitely Shirley! For certain it’s not myself or my son! Do we often bring work home? 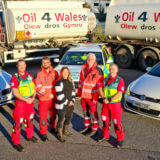 Colin: I have made my social life part of the job; Oil 4 Wales is always in the forefront of everything I do so it is very imbalanced and can put a stress on the family. Sally: It’s difficult not to bring it home: the phone never stops and you never really quite switch off. It’s just the way it is but there is always a slight part of you that feels guilty as I’m not concentrating on what my family are showing or telling me because my mind is in work or emails. Shirley: It has been hard work over the many years but, with the success of the company, life is slowing down. We can now take life a bit easier and enjoy more holidays as we have built up a strong and loyal team to run the business whilst we’re away! What are the funny parts of working with family? Colin: There’s constant banter and humour between the family and team… there has to be otherwise we would all probably cry due to the constant pressure! and moaning about not having two scoops of chocolate ice cream with his apple crumble! There’s so many fun and comical things that happen! What’s our favourite thing about working together? Colin: Mine is seeing my children develop into into well-rounded, grounded people with a side of business sense! Sally and Shirley: We feel it brings us closer as a family. Shirley: And the fact we’re all working hard together to create success and bring pride to the family. What do you love most about Wales? Colin: without a doubt, the community spirit and passion of the place. Shirley: I love the way the people have such a great sense of community and are very caring of others. Where I originally come from there is nothing like it there anymore. Sally: The beautiful scenery of course! But definitely not the weather!